Spend a day at the Singapore S.E.A. Aquarium™ and explore the city at your own pace by saving more than 15% with the S.E.A. Aquarium™ Tour and Hop-On, Hop-Off Bus Combo. The Hop-On, Hop-Off Bus Tour operates on three different routes with a total of 40 different stops taking you close to 30 major attractions. Hop on and off on the designated stops and explore this exciting place! With this special combination package, you can take advantage of FREE two way shuttle transfers to and from to S.E.A. Aquarium™. Marina Sightseeing Hopper (Orange Route): Buses depart from 10:45am to 4.45pm, every 60 mins departure. Sentosa Shuttle Hopper (Red Route): Daily at 9:45am, 11:45am, 3:45pm & 5:45pm. The S.E.A aquarium consists of several stunning displays featuring wildlife from the many different seas of the world, giving you a comprehensive idea of each area. The displays include a dramatic shipwreck scene teeming with fish and plants and a representation of the Sundarbans mangrove forest - home to a myriad of endangered plants and animals. After spending quality time at the Aquarium, you will board a FREE return shuttle to City Tours Kiosk. The hop-on hop-off bus service runs from 9am to 7pm and buses depart every 15 - 30 minutes. The service allows you to hop on and hop off in the City. 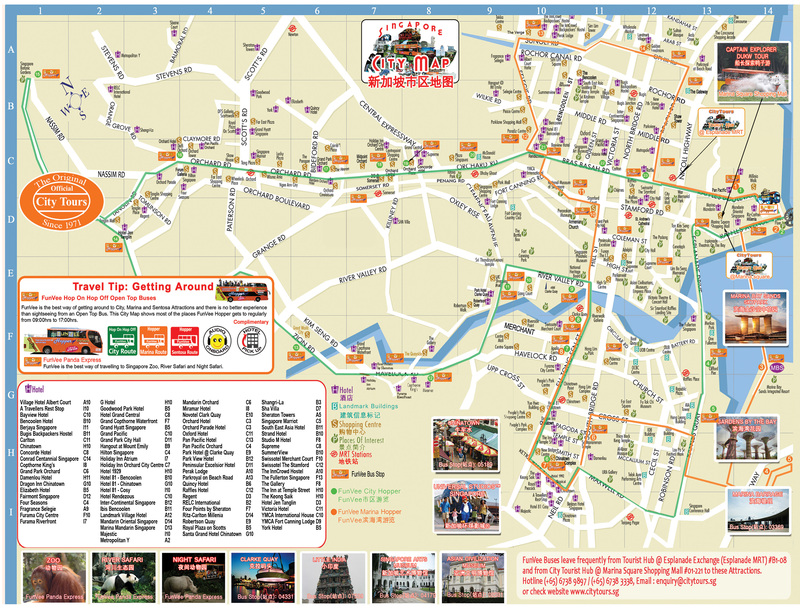 These stops are well-placed to give you easy access to attractions, most city hotels, shopping malls and eating outlets. Use the guidebook onboard to explore further by getting off and re-board the bus again when you are ready. You can even buy attraction tickets at discounts of up to 20 per cent onboard. Guest will need to use the attraction ticket on the date chosen at the time of booking. The Hop-On, Hop-off tour can be used on the same or next day. You are required to wait at least 10 minutes before 4pm & 6pm for the return shuttle service from S.E.A. 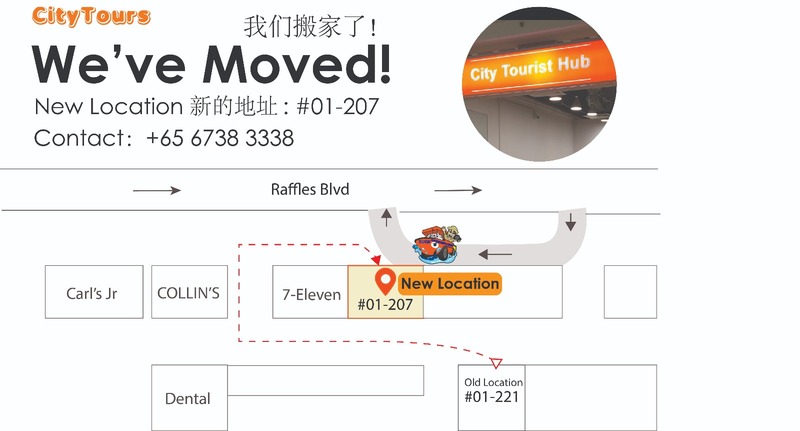 Aquarium™ to City at City Tours Kiosk - K13 located at Resort World Coach Bay. The duration and frequency of the tour may vary due to traffic conditions. During busy times, guests may not be able to get on the bus and may need to wait for subsequent bus.